Do you offer the best in children’s and teen audiobooks at your library? School Library Journal’s top picks for 2016 include a touching tale of friendship, a rocking summer road trip, a sweeping work of historical fiction, and a powerful story of love and tragedy. 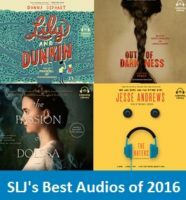 These audiobooks tell “fascinating stories…that are enhanced by exceptional narration and production values.” View SLJ’s complete list of picks here. All young listeners should hear Donna Gephart’s powerful story of the life-changing friendship between two remarkable young people: Lily, a transgender girl, and Dunkin, who is coping with bipolar disorder. This timely and touching story is sure to spark important discussions about bullying and the redeeming power of love and empathy. Visit our Stories & Interviews page to hear Donna Gephart read her author’s note about the inspiration for LILY AND DUNKIN. Download the Resources & Discussion Questions from LILY AND DUNKIN on our Discussion Guides page. Ashley Hope Pérez sets her riveting story of love and tragedy in an East Texas oil town against the backdrop of the 1937 New London school explosion, one of the worst school disasters in American history. In this historical context, she explores racism and segregation, posing thought-provoking questions about these divisive forces. A must-listen Hear Diversity pick, OUT OF DARKNESS is a beautifully rendered, multi-layered story that demonstrates the power of bringing diverse voices alive on audiobook. AUTHOR GUEST POST: A long-time audiobook listener, author Ashley Hope Pérez wrote about the experience of hearing her own audiobook produced. Read her blog post here. Fans of Me, Earl, and the Dying Girl will love Jesse Andrews’ new ode to band camp, rock music, and unlikely friendships. Narrator Michael Crouch takes listeners on a hilarious summer road trip with three young musicians. This audio will strike a chord with music lovers of all ages. MEET NARRATOR MICHAEL CROUCH: YA Books Central interviewed Michael Crouch about his experience narrating the audiobook, including which scene was most difficult for him to read. Julie Berry and Jayne Entwistle, the acclaimed author/narrator duo behind the Odyssey Honor winner The Scandalous Sisterhood of Prickwillow Place, join forces with expert narrators Fiona Hardingham and Allan Corduner to present a transporting historical tale set in medieval France. Berry’s richly vivid prose and the compelling narration will sweep listeners away. Plus, the author’s note provides some fascinating historical background on the story’s events, as well as the inspiration for the character of Dolssa. 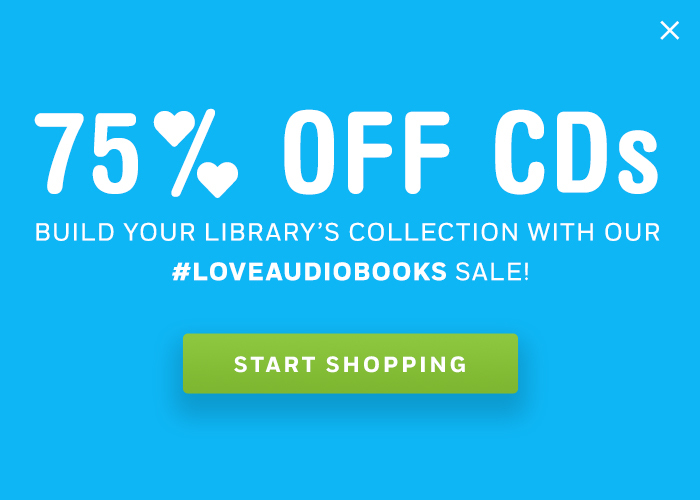 Be the first to hear about the best in children’s and teen audiobooks. Sign up for our Listening Library newsletter!